Home » Articles » 16. Want to get better? No thanks! ← 15. Angry? Wear Your Heart on Your Sleeve! 16. Want to get better? No thanks! It is one of the strangest phenomena: ‘secondary gain’. I first heard about it with NLP, Neuro-Linguistic Programming. It means that you have a very good reason to remain ill. You can, for example, be so unhappy about your work that you don’t really want to get better because then you have to go back to work. Children often exhibit this when they don’t want to go to school by having a stomachache. My mother was always the most caring, loving mother when I was sick. 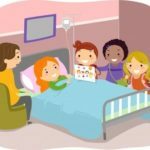 She had always wanted to become a nurse, but couldn’t. When I was sick, she pampered me. This caused me to link love with being sick because if I was ill, I was given loving attention. It becomes a larger problem when we can’t “talk ourselves out of it”. When the advantage of being sick seems larger than that of being healthy. Getting better seems threatening, like “What will happen?” or “I don’t want to be outin the big bad world anymore”. I know that it is risky to write about this because most illnesses are very real and can undermine your life. Then it is especially uncomfortable to read that there may be a part of you that doesn’t WANT to get better. I would like to speak with that part of you, to take a good look at it. Welcome to this harsh world! Many of my clients found life to be very difficult. A small example is of a sensitive boy who, as a 4 year old, sat day dreaming while sitting on the edge of a sandbox. Another boy comes along and whacks him on the head. Welcome to earth! We clash and club our way through life so much that many of us find it burdensome. Classmates who call you names. Fathers and mothers who work so hard that you feel like you are more of a burden to them than that you are welcome. Romantic relationships that break up. In short, there are enough reasons for us to not feel cheerful and happy! If these experiences affect your system too frequently and too intensely, they can transform within you to illness. Enough books have already been written about it. Consider the work of Christiane Beerlandt – The Key to Self-Liberation or Thorwald Dethlefsen & Rüdiger Dahlke – The Healing Power of Illness. In these books you can discover possible causes for each illness. It is always fascinating to take a look at this side of your illness or disorder to see if you can learn something from it. Nothing is as sickening as the shadows within! 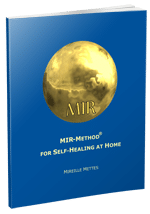 With the MIR-Method, there is a lot you can do to heal yourself. The secondary gain disappears slowly but surely. Step 3: “Detach father. Detach mother.” is especially effective with this, along with step 7 “Fulfill basic needs” and step 8 “Optimize chakras and aura.” Although I just highlight 3 steps, make sure you always do all 9 steps, because they work together! Just hold on! Your secondary gain will leave you one day! If your sickness continue for a long time, understand that it will take a long time for the MIR-Method to break through your secondary gain! Your deepest shadow, the part of you that wants to remain ill, can sometimes be more difficult to deal with than you might expect, but eventually it will give in! And then, finally, you will be able to start enjoying your life! Question for you: I mentioned a few examples of secondary gain in this article. Would you like to add some more? Please add them below. I usually ask you to share this article with others. Not this time! This article can easily hurt someone and give the receiver the feeling that you think that he or she is acting sick. So think about it 3 times before you send this to someone who has an illness or a disorder! I wish you a wonderful process of healing and hope that you regain the desire to meet the challenges of life! Good luck! I read all the articles and I feel as though I am afflicted by all of the issues. Each one I identify with and I am exhausted from…yes that’s my problem yes that one too and the next one too. I wish to move on. I have to no e on but won’t do the necessary. What you’re doing is great: you keep yourself informed and you help your subconscious AND your conscious to make subtle changes. Just keep doing the MIR-Method, if you please, and let your subconscious do the healing. Changes will come! I sometimes have a hard time of letting go of past negative events in my life and bring myself to be in the present. The Mir method has helped me SO much because I feel it’s effect on me on all levels, physically, mentally and spiritually. It lifts me up and I have a much better attitude to life. An optimism which brightens my day. I discover it in me, great deal of it. Hope i will cut this out by using MIR method. Yes, I hope so too! Most people have something going on. It’s a big step to admit it for yourself, so congratulations! I hope it will do you much good!